Cool, crisp and refreshing, mojitos have been a go-to drink for decades for a reason. They have class and style while being big on flavor, two qualities that make them a great drink to mix for your next party or get-together - and they're delicious frozen. Best of all, they're simple to make and super customizable. Start with the classic recipe, then let your imagination run wild with an array of frozen twists on this trademark cocktail made in your Margaritaville® Bali™ Frozen Concoction Maker® with Self Dispenser. With the Bali™, guests can help themselves, ensuring the frozen mojitos keep flowing. Add ice to the ice reservoir and all remaining ingredients to the Margaritaville® Bali™ Frozen Concoction Maker® with Self Dispenser glass jar. Concoct and pour into glasses. Garnish frozen mojito with a few fresh mint sprigs and a lime wedge and enjoy. Island breezes will feel closer than ever with a tropical pineapple mojito, sweetened with pineapple juice and garnished with a fresh pineapple slice. Add ice to the ice reservoir and all remaining ingredients to the Margaritaville® Bali™ Frozen Concoction Maker® with Self Dispenser glass jar. Concoct and pour into glasses. Garnish frozen mojito with fresh mint sprigs and a pineapple slice and enjoy. Coconut cream is a dreamy twist on the classic mojito formula, with its natural sweetness making an intriguing contrast to the zesty freshness of lime and mint. Add ice to the ice reservoir and all remaining ingredients to the Margaritaville® Bali™ Frozen Concoction Maker® with Self Dispenser glass jar. Concoct and pour into glasses. Garnish frozen mojito with fresh mint sprigs, a lime wedge and a sprinkling of coconut flakes and enjoy. Add some ice and get started making refreshing frozen mojitos. Juicy mango transports the classic mojito to paradise. Use both fresh mango and mango juice for an extra-vibrant tropical flavor. Add ice to the ice reservoir and all remaining ingredients to the Margaritaville® Bali™ Frozen Concoction Maker® with Self Dispenser glass jar. Concoct and pour into glasses. Garnish frozen mojito with fresh mint sprigs and a mango cube and enjoy. The classic island dessert takes on a fresh new form in this creative frozen mojito. Line glass rims with crushed graham crackers ahead of the party to make these fun frozen mojitos even snazzier. To prepare glasses, dip rims in honey and then in crushed graham crackers and set aside. 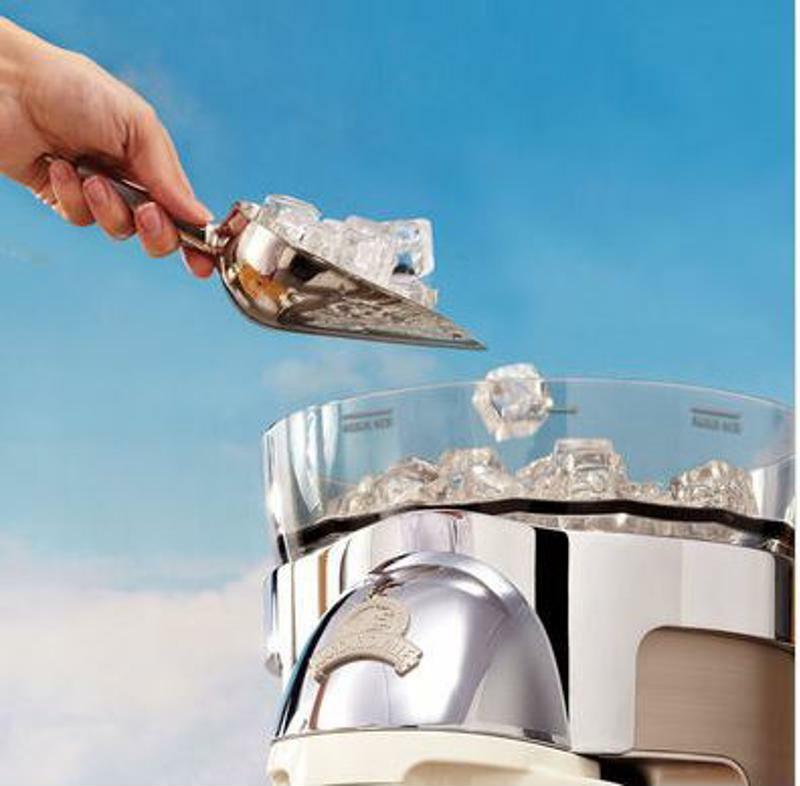 Add ice to the ice reservoir and all remaining ingredients to the Margaritaville® Bali™ Frozen Concoction Maker® with Self Dispenser glass jar. Concoct and pour into prepared glasses. Garnish frozen mojito with fresh mint sprigs and a lime wedge and enjoy. Striking with its bold dark purple color, frozen blackberry mojitos are dazzling frozen concoctions to serve at your next party. Add ice to the ice reservoir and all remaining ingredients to the Margaritaville® Bali™ Frozen Concoction Maker® with Self Dispenser glass jar. Concoct and pour into glasses. Garnish frozen mojito with a few mint sprigs and enjoy. Add some tasty sweet-and-tart citrus flavors into the mix for a positively sunny frozen mojito. Add ice to the ice reservoir and all remaining ingredients to the Margaritaville® Bali™ Frozen Concoction Maker® with Self Dispenser glass jar. Concoct and pour into glasses. Garnish frozen mojito with fresh mint sprigs and a blood orange slice and enjoy.